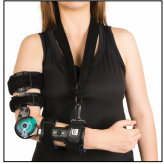 Equipped with flexible bands that shape around the arms’ contours, an adjustable strapping system, and telescopic length adjustments at the bicep and forearm, the StrengthBrace Hinge R.O.M. 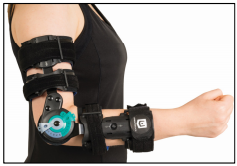 Elbow Brace offers robust customization to accommodate any patient’s needs. The flexion and extension adjustments allow for a lesser or greater range of motion as the patient progresses through recovery. Designed for those with soft tissue strains / repairs, and post-op surgery recovery. 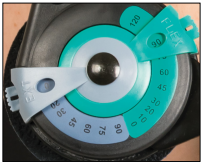 Flexion and extension range of motion adjustments—0°-90° extension and 0°- 120 flexion.